Scholarships are available for research programs in electrical / electronic engineering leading to PhD (3.5~ 4 years), Masters + Ph.D (4.5 years combined course) and Master’s Degree (2 years). The programs are research based and require publishing of research results in top academic journals. Selected candidates will be involved in government funded research projects. Candidates will receive full tuition fee waiver and salary (Approx. 900~1000 $/month for PhD study; 600$/month for Master’s Program). 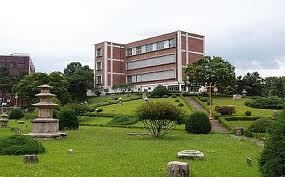 Kyungpook National University (KNU) is one of the leading national universities in Korea and ranked 2nd in terms of research productivity. Applications for the above programs close by 1st Nov-2011 for March 2012 intake. Students are also encouraged to apply after the deadline and their applications will be considered for the subsequent intake. Research Areas: Our research group primarily focuses on research areas related to bio-signal processing, biomedical systems, nonlinear control and estimation. The research group will closely work with healthcare professionals and researchers, both locally and globally. Developing smart biomedical systems/instruments: – Tremor cancellation technology development for smart surgical tools/devices etc. EEG based clinical assessment tools: – Neuro-signal processing, ADHD treatment monitoring, Rehabilitation assessment for stroke patients etc. Nonlinear control and estimation: – Fault estimation in electric vehicles, sliding mode control, sensor-less estimation for industrial drives etc. Eligibility: Bachelor’s and Master’s degree holding candidates with strong academic background from electrical/ electronic/ communications engineering (EEE, ECE, and EI) are encouraged to apply. Related work experience will be advantageous. University requires scores from one of the English proficiency tests (IELTS – 6; TOEFL (IBT) – 85).